A recipient of the National Arts Council – Conservatory full scholarship, Andrea graduated from the Yong Siew Toh Conservatory of Music, National University of Singapore with Bachelor of Music Degree in Violin Performance with Honours. 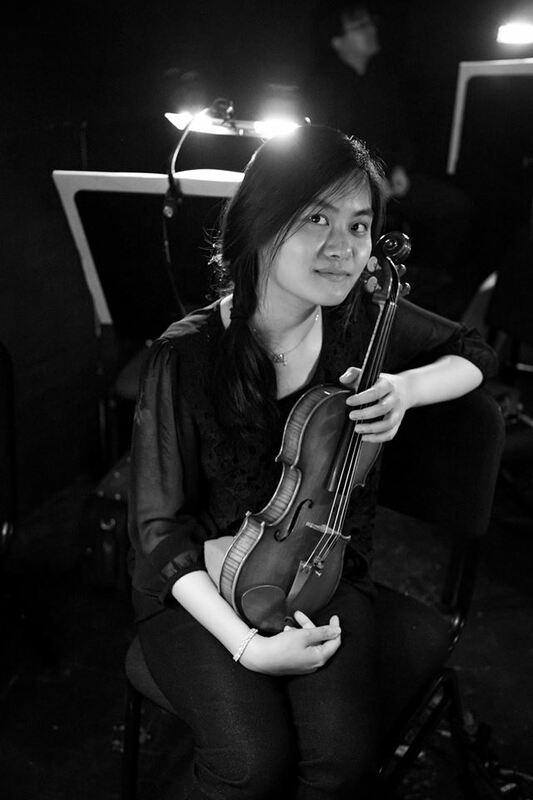 She studied with Prof. Zuo Jun, Head of Violin Studies at the Conservatory during her years of the Young Artist Programme and Bachelor’s Degree. She was selected for the Joint Degree Programme and studied with Violaine Melançon at Peabody Institute of Music of the Johns Hopkins University, USA after her first-year of excellent results. Subsequently, she was placed on the Dean's List with High Honours with a full GPA score of 4.0 during her study at the Peabody Institute of Music in Fall 2011. She was coached by Maria Lambros at Peabody Institute and the T’ang Quartet in Chamber music, and has played in masterclasses by Keng Yuen Tseng, Ning Kam, Chen Yun, David Takeno and Olivier Darbellay, exploring solo violin repertoires, piano trios, string quartets and string quintets. Andrea performs with the Metropolitan Festival Orchestra since 2013 and was appointed as Sing50 Mentor to coach young violin mentees for the Sing50 mega Concert in 2015. She has also performed with the Singapore Lyric Opera, Nanyang Technological University String Orchestra, Hallelujah Oratorio Society’s string ensemble, various contemporary music ensembles, an alumni of the Singapore National Youth Orchestra and conservatories’ orchestras; worked with Maestri Yu Long, Claus Peter Flor, Palo Olmi, Sian Edwards, Yip Wing-sie, Tan Dun, Eiji Oue, Docki Kim, amongst many notable others. She has taught violin and given masterclasses to children and adults. Besides teaching and performing, she enjoys visiting hospitals where music transforms into therapeutic treatment to the needy.